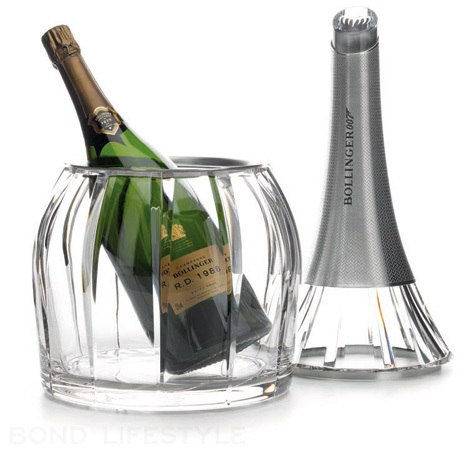 To celebrate the release of the new James Bond film, Champagne Bollinger is launching the Bollinger SPECTRE Limited Edition bottle and a very limited SPECTRE Crystal Set with Bollinger R.D. 1988 Magnum. It was also announced that in the movie SPECTRE we will see the exclusive prestige cuvée Bollinger R.D. 2002. 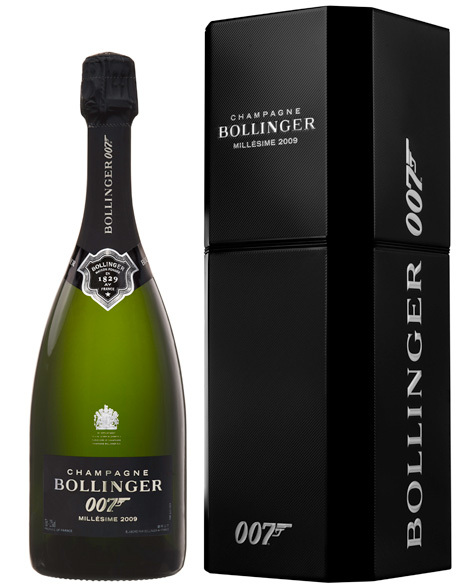 The limited edition contains a unique Bollinger cuvée from the 2009 vintage, released exclusively to celebrate the continuing partnership between Champagne Bollinger and James Bond. This bottle is now available at 31 Dover (UK), The Finest Bubble (UK), Harrods, The Whisky Exchange (worldwide shipping), or TheDrinkShop (worldwide shipping). 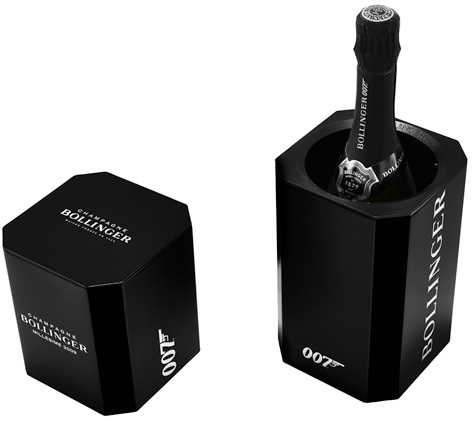 The bottle will be encased in a sleek Carré Basset designed black cool-box with embossed silver Bollinger and 007 branding. 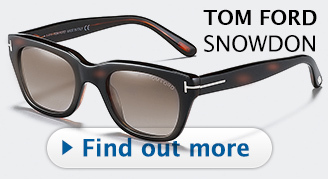 The exterior is designed to mimic the texture of the gun grip on 007’s Walther PPK, whilst the insulated interior will keep the bottle chilled for up to two hours once removed from the fridge. The release of the SPECTRE Limited Edition marks the continuation of a long lasting partnership between EON Productions, the producers of the Bond franchise, and the House of Bollinger. The Champagne Bollinger partnership with Bond is, rather uniquely, based on a gentlemen’s agreement from the early 1970s. At the time, Champagne Bollinger was being run by Madame Bollinger’s nephews Claude d’Hautefeuille and Christian Bizot. They sought to continue their late aunt’s good work in building the brand of Bollinger, whilst remaining true to its heritage and tradition. When film producer Albert ‘Cubby’ Broccoli was seeking a Champagne House to match James Bond’s on-screen impeccable taste and panache, he chose Bollinger, but the House was still traditionally quite reserved at heart. Adamant that Bollinger was right for his suave secret agent, Cubby took his time and made friends with Christian Bizot, bonding over their shared love of wine. Since that encounter, Bollinger has featured in 13 Bond films to date and has been the exclusive Champagne partner since Moonraker in 1979. 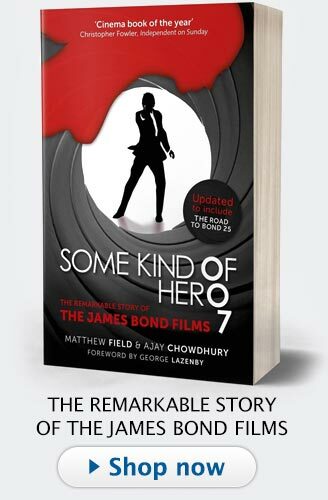 James Bond’s first encounter with Bollinger, however, was actually a literary one; Tiffany Case sends Bond a bottle to his cabin on the Queen Elizabeth in the novel of Diamonds Are Forever. The first appearance in a film was when then Bond Roger Moore ordered Bollinger from room service in Live and Let Die. 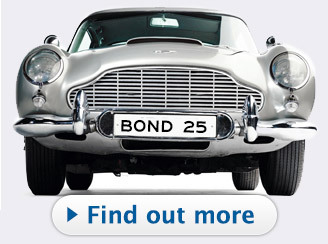 From that moment on, Bollinger has been Bond’s Champagne of Choice in every big screen outing. 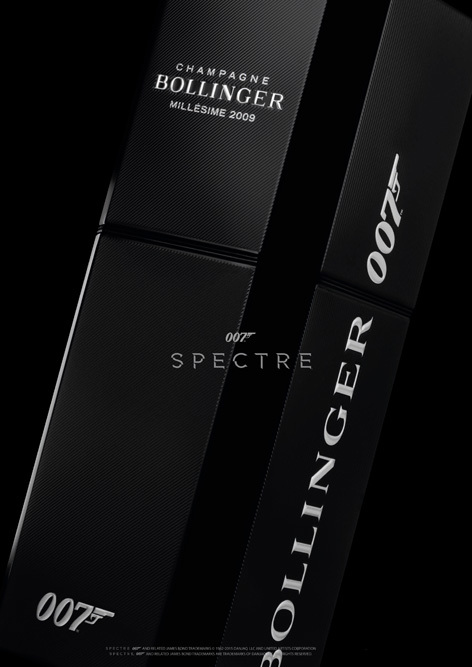 SPECTRE will be the 14th Bond film to feature Bollinger as James Bond's Champagne of choice, with the discerning secret agent this time deciding to drink the exclusive prestige cuvée Bollinger R.D. 2002. 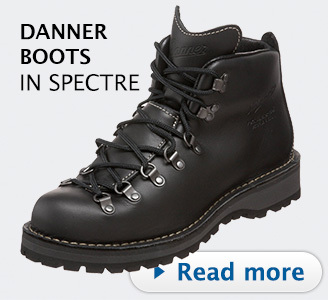 The limited edition Bollinger SPECTRE is available at major wine merchants in the retail price of €160 / £125. 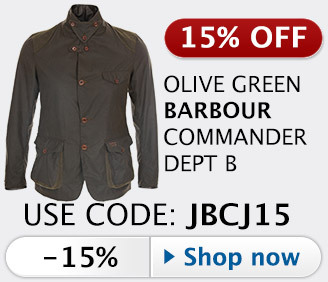 Get it online at 31 Dover (UK), The Whisky Exchange (worldwide shipping) or TheDrinkShop (worldwide shipping). 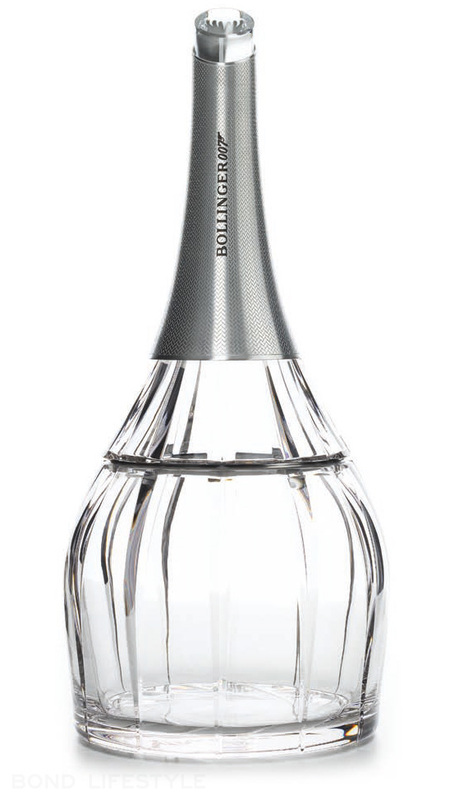 In addition to the bottle, Bollinger has created a limited edition SPECTRE crystal champagne cooler, big enough to fit a Bollinger Magnum bottle. A true collector's item, this unique cooler is limited worldwide to only 307 pieces, available at select retailers, or online for £4,500 (approx. $6,900 or €6,000) at The Whisky Exchange and The Finest Bubble. The Magnum bottle of Bollinger R.D. 1988 stands enshrined in the large Crystal Saint Louis cooler. 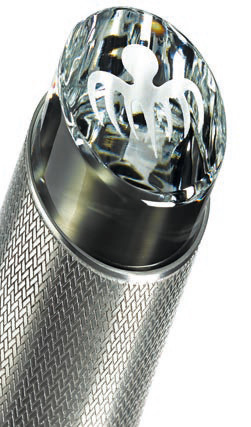 The 007 gunbarrel logo is subtly visible at the base of the crystal, while the top is marked with the new SPECTRE logo. Dimensions: 28cm wide x 60cm high (11" x 23,5"). Weight: 14 kg (31 lbs). "For this exceptional creation, Champagne Bollinger has chosen a partner that shares the same values ​​and demands of excellence in French, Crystal Saint Louis" says Jérôme Philipon, president of Champagne Bollinger. Founded in 1586 in Lorraine, Crystal Saint Louis became the first glassworks in Continental Europe in 1781. 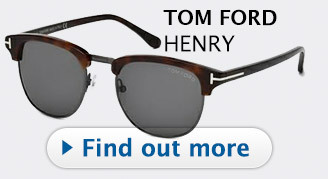 Saint-Louis, which now belongs to the Hermès Group, has preserved a unique know-how. 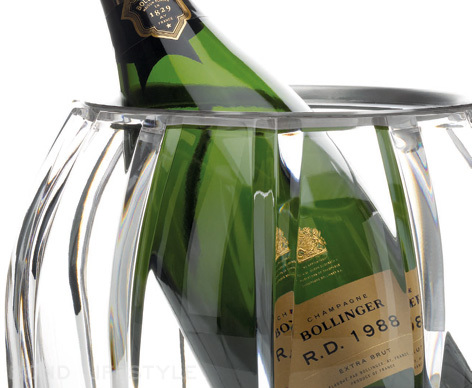 It is the designer Eric Berthès who conceived and designed the Bollinger Crystal Set. He wanted it as a setting for a true classic, Bollinger R.D. 1988 (the same vintage Bollinger that Bond has stored in his Aston Martin DB5 in GoldenEye). A rare champagne that unmatched long aging on its lees for an aromatic complexity and exceptional length in the mouth. 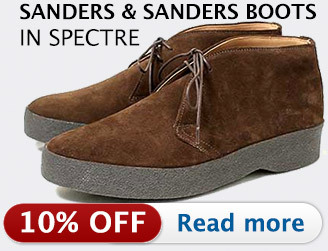 Bollinger makes great editions for every Bond Movie! 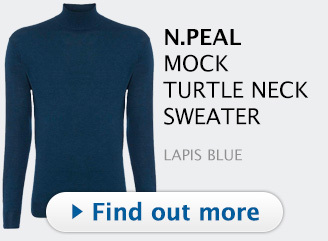 Where to buy this and how much? ?